(Kirsten Anderson returns from the The David Sheldrick Wildlife Trust in Kenya and shares photos of the trip and news of an amazing new print by Camille Rose Garcia! which will be available only through Roq La Rue gallery.) Here’s Kirsten with the scoop. 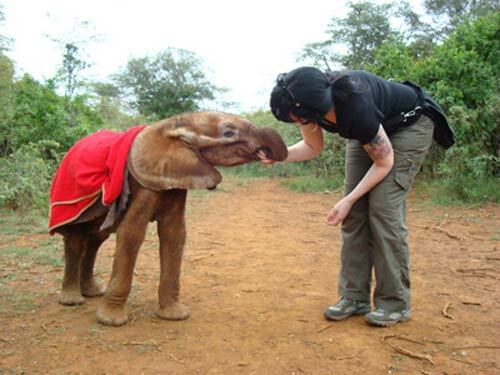 Last week I was in Kenya to visit The David Sheldrick Wildlife Trust that Roq La Rue donates money to. I stopped off at the elephant orphanage to pay my regards, check out the Trust (which is amazing in both its animal care as well as innovative community outreach) and smooch on some adorable baby elephants. Speaking of which, I’m now announcing a new print, “Lil Elorphant” that Roq La Rue is publishing in conjunction with Camille Rose Garcia!! 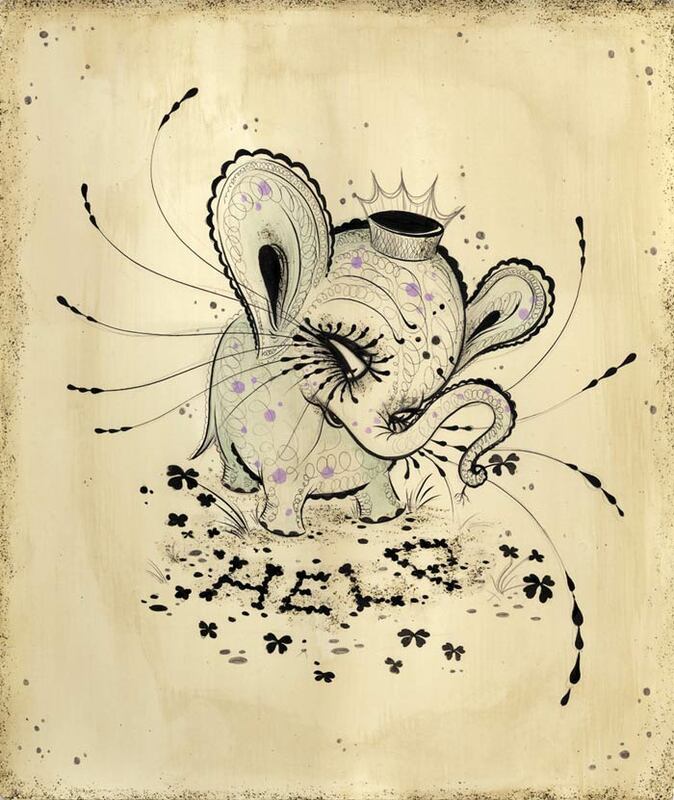 Camille graciously created a new piece which the gallery is making limited edition prints of [limited to 100!] and selling with ALL proceeds going to the The David Sheldrick Wildlife Trust! They are in production now – email the gallery to get on the list to get one once they are ready! These look really fabulous in person, and are available only through the gallery. 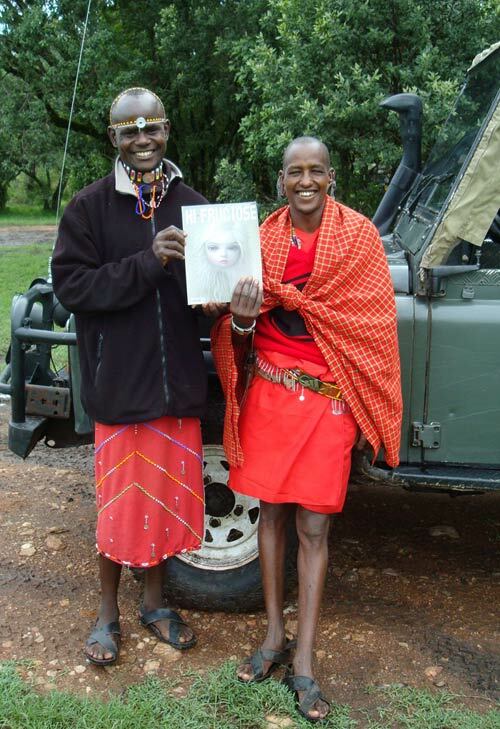 While there I showed a copy of Hi-Fructose to my Maasai guides, Andrew and Sedera, who loved it! 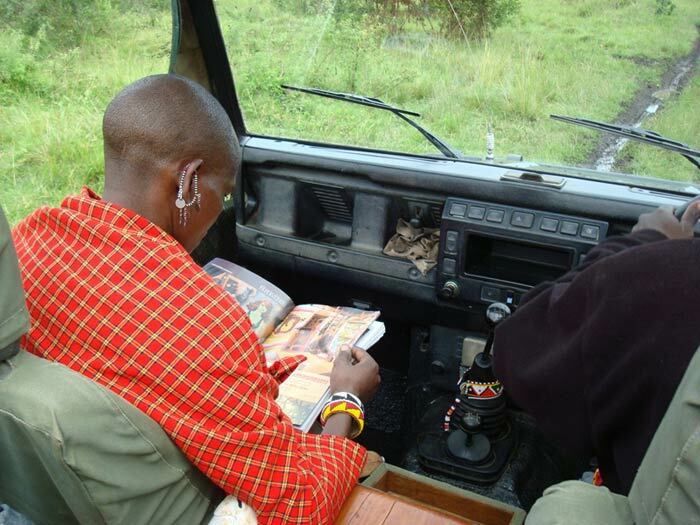 I gave them a copy and had them pose with it and later in the car while driving us to the airstrip they were still happily reading it. So, Hi-Fructose, number one art magazine for the discerning Maasai Warrior! 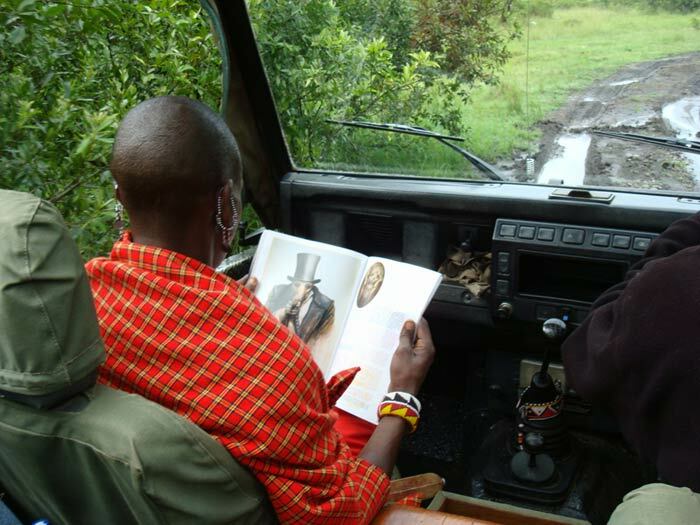 My guides reading Hi Fructose- they didnt know I was snapping pics here….